Bochum have hit out at Bayern Munich winger Arjen Robben after he drew a red card and a penalty in Wednesday's DFB Pokal clash. 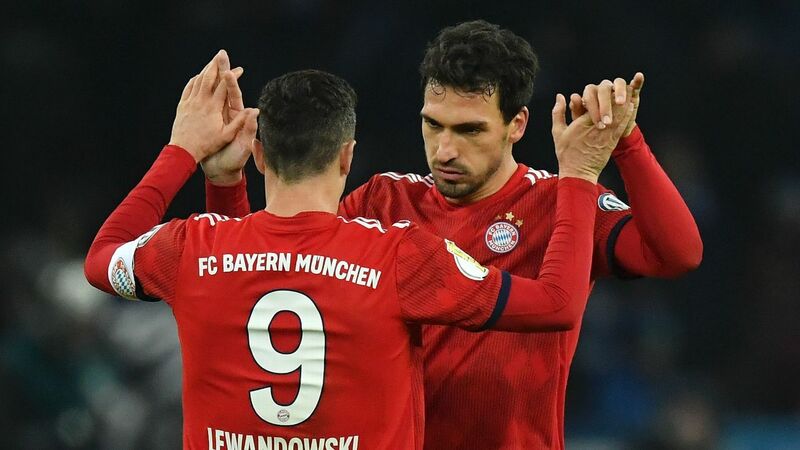 Pep Guardiola's Bayern triumphed 3-0 at the Ruhrstadion to set up a semifinal meeting with Werder Bremen. Just before half-time, Robben fell to the ground inside the penalty box when substitute Jan Simunek, who had come on for Timo Perthel after a collision with Robben, tried to stop the Netherlands star from breaking clear towards goal. Referee Bastian Dankert awarded a penalty to Bayern, with Simunek dismissed, although Muller's shot was parried by goalkeeper Manuel Riemann. Arjen Robben has scored three Bundesliga goals this season. "It is a pain in the a--," Riemann told reporters. "Robben's down on the ground for nearly 90 minutes. He only waits for the contact. He doesn't need that, he's such a good player." Bochum's Dutch coach Gertjan Verbeek accused his compatriot of diving, saying: "To me, that is a dive. Maybe there is a bit of a contact, but Robben's looking for the leg. "He's Dutch, we all are used to this by Robben. It's certainly not a red card. Football is a contact sport. He flops, that's a dive, and a free kick for us." Guardiola said that while he could not see the situation leading to the penalty, the rule to also award a red card for denying a clear goal-scoring opportunity is "ridiculous" and "has to be changed by FIFA." Arjen Robben said that "it was a penalty and a red card" to him, and while he could understand the disappointment "those are the rules, and there is no discussion about it." Robert Lewandowski scored two of Bayern's goals while Thiago Alcantara was also on target.